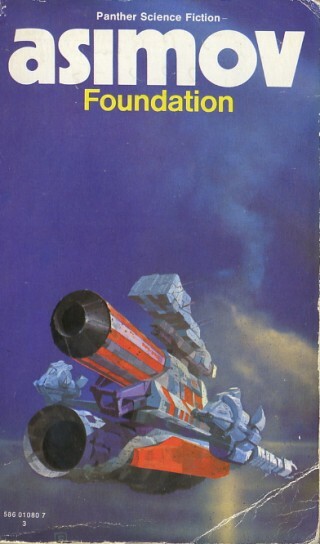 Last summer I read Asimov’s “Foundation” and enjoyed it. The plot twist early on (*spoiler alert*) of having the encyclopedia project function as a ruse to get scientists to an outlying planet hooked me for the duration. In the story, the mere act of compiling information wasted time. In 1420, when London was a backwater, Nanjing was the world’s largest city, and Ming China “had an incontrovertible claim to be [its] most advanced civilization.” That it was a center of learning he makes plain with a typically entertaining detail: the Emperor tasked 2,000 scholars with creating “a compendium of Chinese learning” that “filled more than 11,000 volumes,” which was “surpassed as the world’s largest encyclopedia only in 2007 … by Wikipedia.” So what happened? 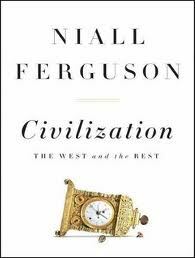 Ferguson then goes on to outline the swift decline in China’s navy as the main answer, just as Paul Kennedy did in his The Rise and Fall of Great Powers. Like Asimov, I have a different theory: China’s encyclopedia itself was a symptom of a disease that already manifested itself in the body politic. The Roman’s first encyclopedia, for example, came in its post-Diocletian phase, a time of desperate attempts to conserve what they had lost centuries earlier. There’s the rub; most often, encyclopedias and dictionaries come from a conservative reaction against change. * A fear of losing something pushes us to gather our nuts frantically for the coming winter. Thus, it makes perfect sense that the Chinese followed up its massive encyclopedia with a concomitant reaction against traveling to contact new people and ideas and risk losing what they had so carefully tried to preserve. *I admit that the Dictionary made by the French philosophes had a more militant, aggressive character, and is an exception to this rule. This week we looked at the Stock Market Crash of 1929 and how it happened. 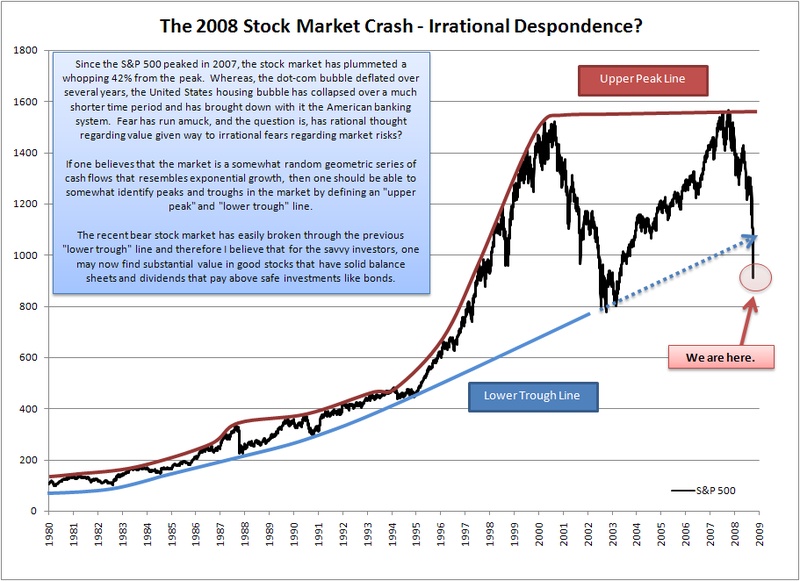 Not all Stock Market crashes cause deep depressions or recessions, and in fact, many now argue that the Great Depression had many other factors besides the ’29 crash. For example, only about 3% of Americans owned any stock at all in 1929. But I do think that the crash both revealed and foreshadowed deep problems within the economy as a whole, and so I still thought it worthwhile to examine. At the very time, for example, when the stock market rose dramatically, key industries like agriculture and construction showed major signs of weakness. In our game the four teams quickly got a handle on how they could disrupt other teams. Each began with a diversified portfolio, but watchful eyes soon noted who had accumulated the most amount of a certain stock. Other teams would then work hard to devalue that stock, trying to sell it to others at ridiculously low prices, with the some teams countering by buying it way too high. This instability made the market wobbly, whereby the ‘government’ (myself) stepped in to buy shares at market prices. Unfortunately, this strategy left the government holding a great deal of unpredictable stock. Luckily for all, one investor decided to buy back from the government at slightly higher than market rate, which boosted market confidence in general. That move propelled them to a narrow victory. I hope the students had fun, as I did watching their not very subtle machinations against one another. This week we looked at Athens’s disaster in Sicily and the subsequent extensive fallout. Part of Thucydides’s brilliance as a historian is that does not look merely at battles and personalities, but finds ways to link events to a grand narrative. Athens had so many strengths, and one could argue that their democracy itself was a product of their search for excellence and truth. But it appears to me, at least, that something began to go wrong just prior to the Peloponnesian War with the completion of the Parthenon. 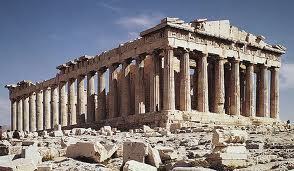 The Parthenon is of course one of the great architectural achievements in history. Ostensibly, it is a temple to Athena, the patron goddess of the city. But a closer look at the carvings on the Parthenon reveal not scenes of gods or goddesses but of events in their own history. Did Athens really create a temple to their own glory? Did they think they had arrived? Did they begin to, in essence, worship themselves? What would this mean for them? That Jones shall worship the god within him turns out ultimately to mean that Jones shall worship Jones. Let Jones worship the sun or moon, anything rather than the Inner Light; let Jones worship cats or crocodiles, if he can find any in his street, but not the god within. Christianity came into the world firstly in order to assert with violence that a man had not only to look inwards, but to look outwards, to behold with astonishment and enthusiasm a divine company and a divine captain. The only fun of being a Christian was that a man was not left alone with the Inner Light, but definitely recognized an outer light, fair as the sun, clear as the moon, terrible as an army with banners. The problems with the Sicily expedition can be traced to the problems with their democracy. 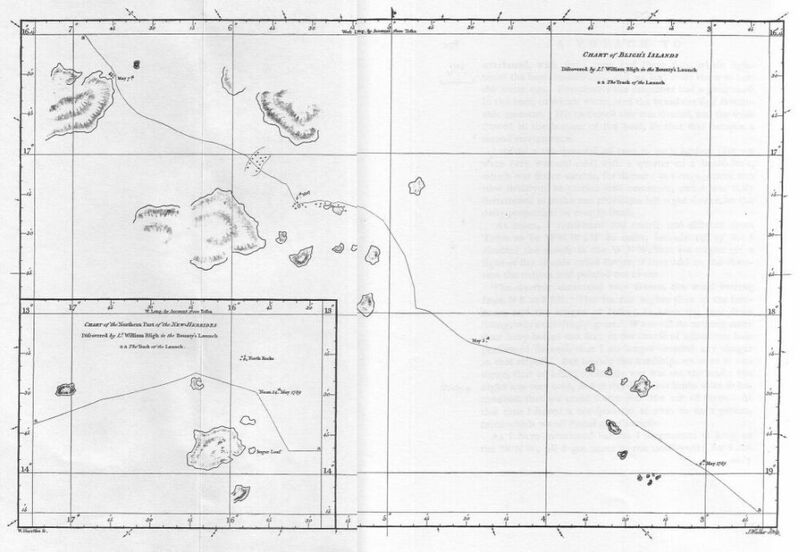 Alcibiades wanted the expedition, Nicias opposed it. Both were wealthy, experienced in politics and military matters, and each had their own constituency. Alcibiades was the fire to Nicias’s ice. Their personal and political rivalry spilled over into the formation of Athenian policy. The tail had begun to wag the dog. Among other things, Nicias’s political maneuverings against Alcibiades led to drastic changes in the composition of the fighting force and, perhaps even the goal of the mission. One wonders if they realized this. With their heads down, I think not. In my opinion they thought. . .
Their failure in Sicily brought about the collapse of their democratic regime. Their god had failed to provide for their basic needs, and he needed replaced. In this election season, we do well to remember that we cannot call ourselves a democracy if we merely count votes. Democracies work when they serve higher purposes than themselves, and fail when the process becomes the end in itself — a means of power over our fellow men. The oligarchs that replaced the democracy in Athens did no better, ruling wantonly based on their own pent up sense that it was “their turn.” We sometimes see this happen when one party, shut out of Congress for a time, suddenly gains control. With this attitude in place things go poorly, and the Gingrich led government shutdown in the 1990’s comes to mind. Democracy came back, but the instability engendered by these power struggles did the Athenians no favors in their war effort. In our discussion as to why Athens lost the war, I threw out a few theories bandied about by historians, such as the superiority of infantry over the navy in general, and the Sicily invasion in particular. But most agreed that Athens made themselves their own worst enemy through their arrogance. Their self-worship turned their gaze inward. They never had a filter for their decisions beyond their own immediate wants, and they never opened themselves to an external variable like “justice” to use as a guide. Next week we will look at the Plato’s critique of democracy, and Aristotle’s response to Plato. While studying these two titans the students will read Euripides’s The Bacchae to help us get some important issues in a different way. This week we discussed the preamble to the Declaration of Independence. While the particular grievances have come and gone, Jefferson’s preamble is deservedly remembered. In 1765 the colonists talked of ‘English liberties,’ and protested on that basis. In the Declaration, however, we see the concept of universal human rights enunciated. 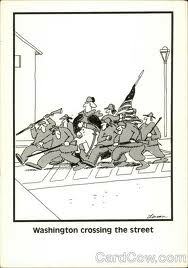 The colonists were not fighting to be English, but in a sense to be more human. While Jefferson was a deist and not a Christian, he is clear to point out that these rights are universal because they originate in the fact that we are created by God. In class we discussed how these ideals have shaped our nation. Many in the world, rightly or wrongly, accuse us of meddling, not minding our own business, and so on. Whether this charge is just or not can be debated. What we can trace back to the Declaration, however, is that we seek in some measure to spread our ideals not because they’re ours, but because we believed that they belonged to all. Are we right about this crucial assertion? Clearly the words of the Declaration not only reflected, but also molded and shaped our self perception as a nation. Again, this does not mean that we have always done this, or done it well, or at the right times, places, and so on. – If they got lucky or could bluff their way to 1 big success, they could simply fold (i.e. retreat in orderly fashion) and wait until the end of the game — until time ran out. Many of you may have seen an action movie where the lone hero has to fight his way into a compound, boat, or some other such structure. Despite being outnumbered, miraculously he kills the bad guys and escapes. Along with Hollywood escapism at work, our hero does have one advantage. Every person he sees on the boat he knows immediately is a bad guy. He can shoot first, ask questions later. Because the bad guys are so numerous, chances are nearly every person the bad guys see in the shadows is on their side. They hesitate and give the hero the advantage, showing how their numbers work against them at least in some ways. I could easily stretch this analogy too far, but British failures at Saratoga and Yorktown show the great difficulty the British faced winning the war. How could they solve the problems that created the war in the first place through violence? The situation between England and their colonies from 1764-1775 craved a political response that the British proved unable to provide. Victory through violence therefore required an absolutely crushing military defeat, and this mean they would have to take chances to achieve it. Both times they did this, it backfired mightily upon them. To add to their problems, Americans could afford to take chances occasionally because their victories would mean so much more than British ones. England’s political bungling in the decade prior to the war prepared the way for their defeat. I touch on some of these issues in this post on whether or not generalship can be “clutch” or not here. Seems convincing, and here is another take on the issue with the same conclusion in a different sport. But I don’t buy it, or at least not all of it. I am willing to believe that my own personal emotional perception can influence what I think of hard data, but it’s also my own experience. I grew up playing baseball and there were times when I wanted to be at the plate in crunch time and times when I hoped that the guy in front of me would win the game and spare me the agony. The expected results often followed my attitude. Of course, those times tended to be when I was having a good or bad season, respectively. But the pressure definitely seemed to heighten my expectation of success or failure, and surely this had something to do with my performance. Perhaps the key variable is pressure, not performance. But aside from sports, can “clutch” exist in generals? 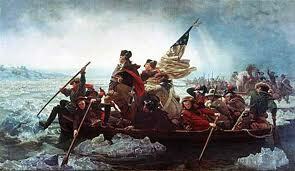 Washington only won three battles in the Revolutionary War, but he won them at the right time. The Battle of Trenton seems something like hitting two foul shots to send the game into overtime. Yorktown was perhaps not as crucial, but still similar in the timing and result. Pressure brought out the best in Washington. By contrast, the British general surely had less to play for in the Revolutionary War. They had the best army on paper, not just against the colonies but throughout Europe and perhaps the world. Yet they had no “clutch” performances, perhaps because pressure did not draw it out of them. Winning and losing meant much less to them compared to the colonists. My point is that pressure reveals something about us. It does not always reveal something “good” or “bad” about us, but with the testing comes opportunity. Fire away, statisticians, I still think something like “clutch” exists. The full title of the book is Captain Bligh’s Portable Nightmare: From the Bounty to Safety — 4,162 Miles Across the Pacific in a Rowing Boat. With such a title, the author John Toohey borrowed from the dense Enlightenment style from the period he chronicles. 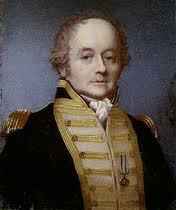 The original title of Bligh’s own book was The Narrative of the Mutiny aboard His Majesty’s Ship ‘Bounty;’ And the Subsequent Voyage of Part of the Crew, in the Ship’s Boat. 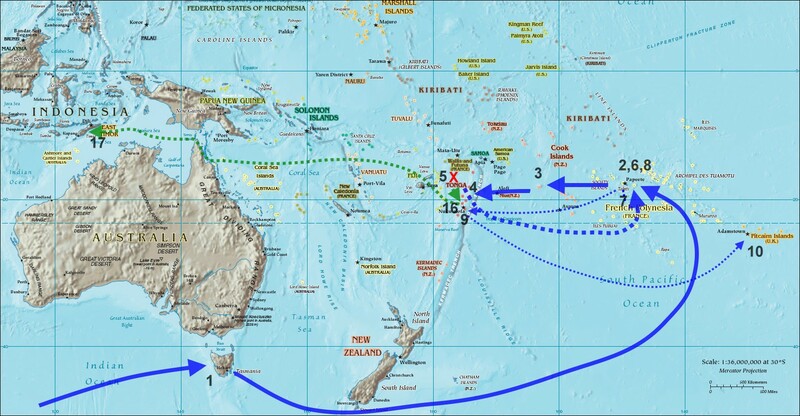 Bligh’s mentor and hero Captain Cook wrote one entitiled, The Voyages of Captain Cook Round the World: Illustrated with Numerous Engravings on Wood and Steel. Clearly, the late 18th century liked long titles. Toohey writes well and tells a remarkable story, making some inspired guesswork about what happened on the launch and how they possibly could have traveled so far and survived. 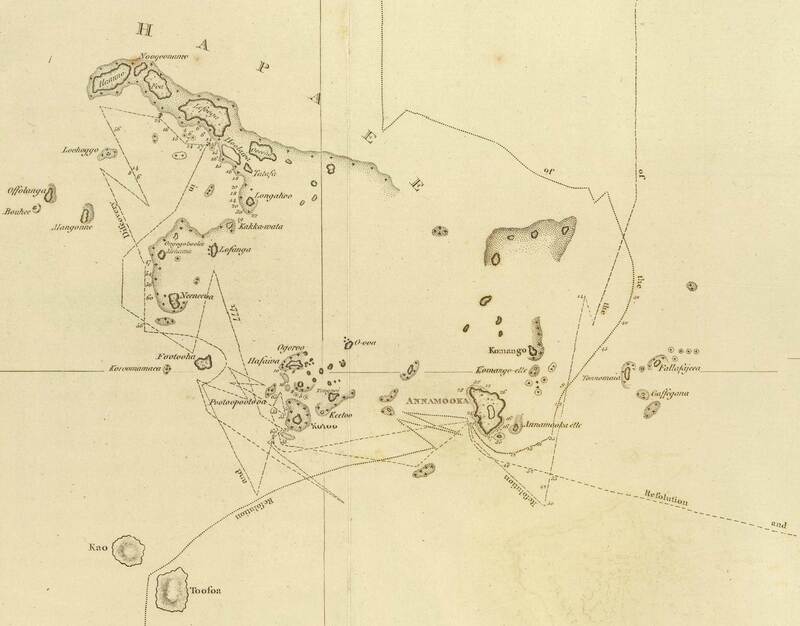 Put Bligh’s accomplishment in the long list of things perhaps no one on Earth could do today. To be fair to us, Bligh may have been one of the few of his time that could have done it as well. The book grabbed me for other reasons. Bligh represents much of his time. In Bligh we have a man of incredible mathematical and navigational gifts. But the journey required a great amount of indescribable “feel” as well as inspired guesswork honed by years of sailing by sun and stars. Bligh’s abilities were innate to be sure but also honed by all the fruits that the Scientific Revolution and Enlightenment had to offer. But when one the men on the launch died in a Dutch settlement, Bligh did not even know if the deceased had family to notify. He could save the lives of his men without relating to them as human beings. Bligh’s tragic resentment towards his men whom he believed did not sufficiently appreciate him shows him to be all to human indeed. And now as a postscript, being for the edification of Ladies and Gentlemen alike, for the purpose of reinforcing the bloggist’s aforementioned point concerning the titles of books in the said era under discussion. . .